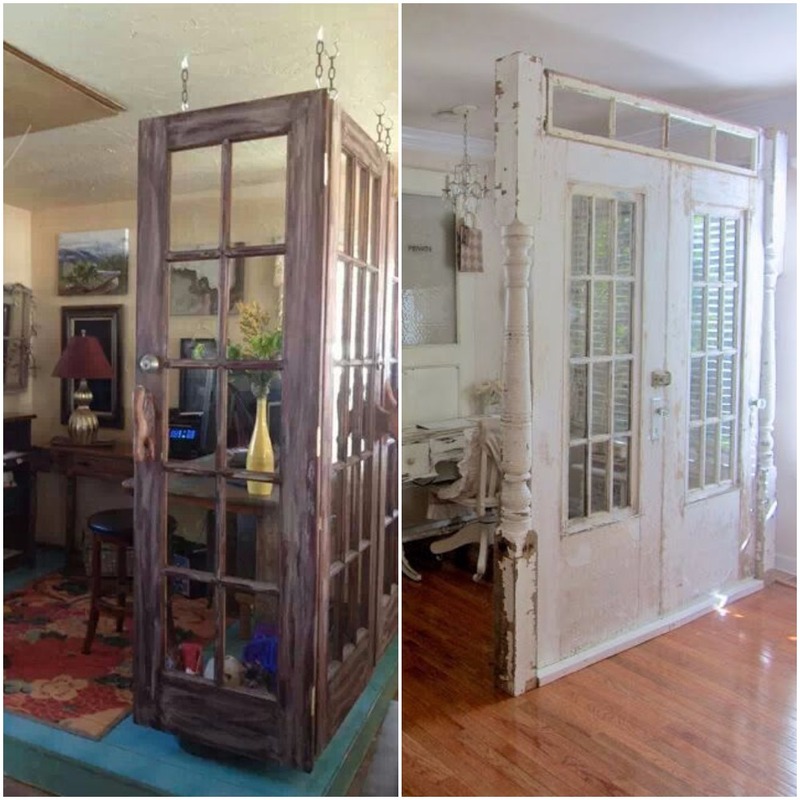 When you have old doors lying at home, you just think of getting rid of them, but we have some amazing ideas for you. 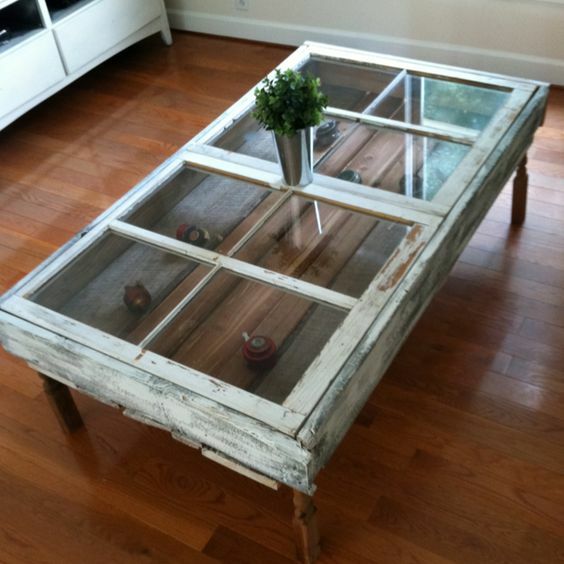 Photo frame– An old door with glass divisions can be turned into an amazing family photo frame. 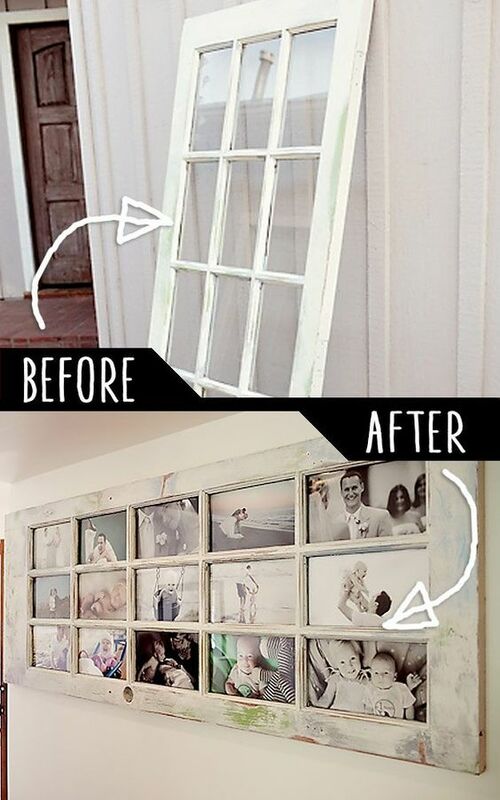 If you want a vintage and rustic looking photo frame then this is the best idea of re-purposing an old door. 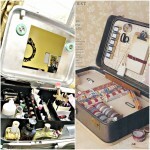 You can also add few key holders and turn it into a photo frame and key holder. Place it at the entrance of the house and you will love it every time you enter home and hang your keys. Shoe rack– A small shoe rack like this at the entrance will be so useful to keep your footwear. 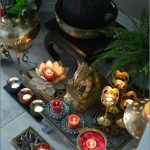 Create few blocks and you can also use for keeping decorative items and flower vase or you can also use this platform to sit and wear shoes. 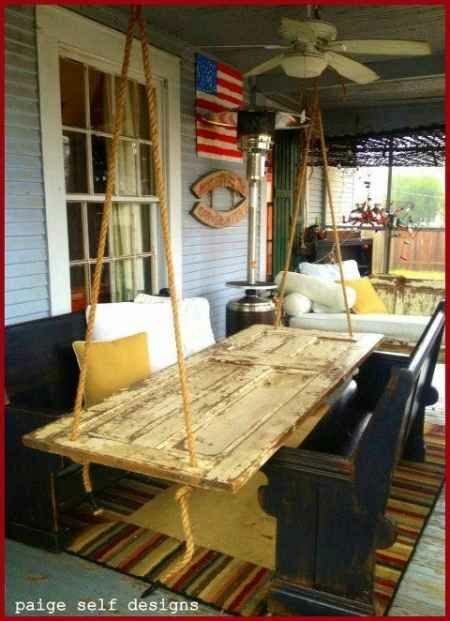 Turn it into a Table -A center table or a coffee table with storage is another idea to use the old doors. use wooden blocks or your old wooden flooring pieces to create the storage underneath the door. Love for swings -If your kids love swings and you find the ones in the market pretty expensive, then create your own version like this. 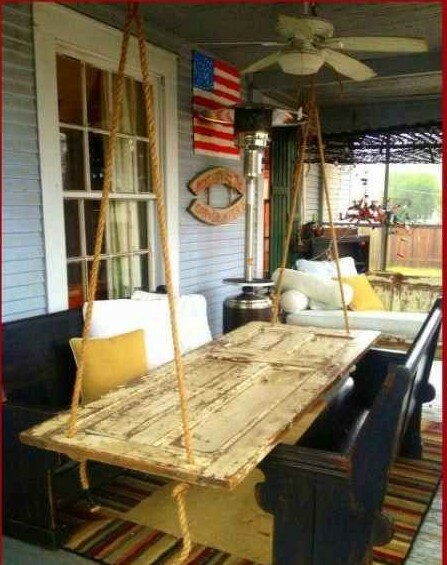 You can alternatively create the back rest for the swing with old wooden pieces. 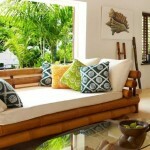 Put nice printed cushions for comfort and see your kids enjoy it. Utility Racks– Well an old door can also be turned into a nice dressing table for your little princess or a study table for the kids. 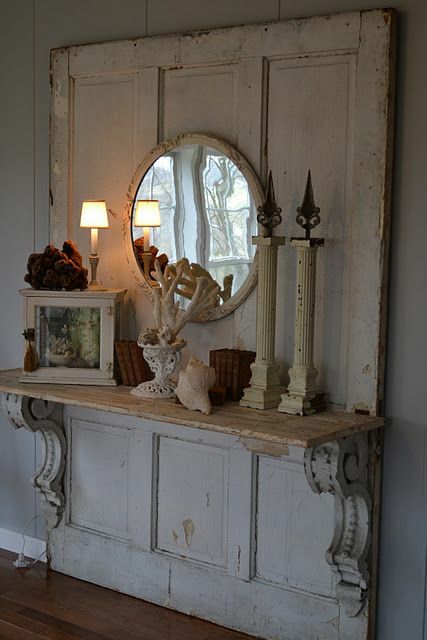 Place a mirror for the dressing table and a small blackboard for the study table. 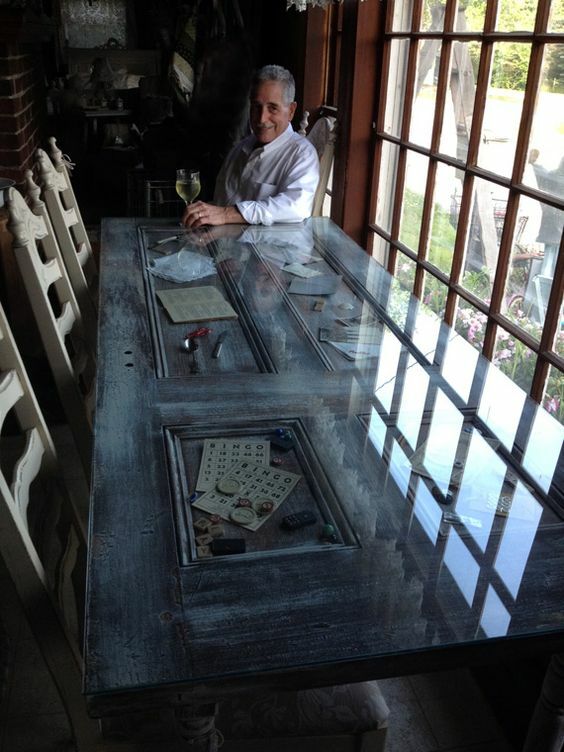 Dining Table– How about a vintage dining table, revamp your old dining table by placing a rustic painted door to the top of your old dining table. 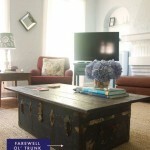 Console– You can also try and convert it into a beautiful console table for the living room. Room Dividers– They are also great for creating dividers or false wall for creating a partition in the room. 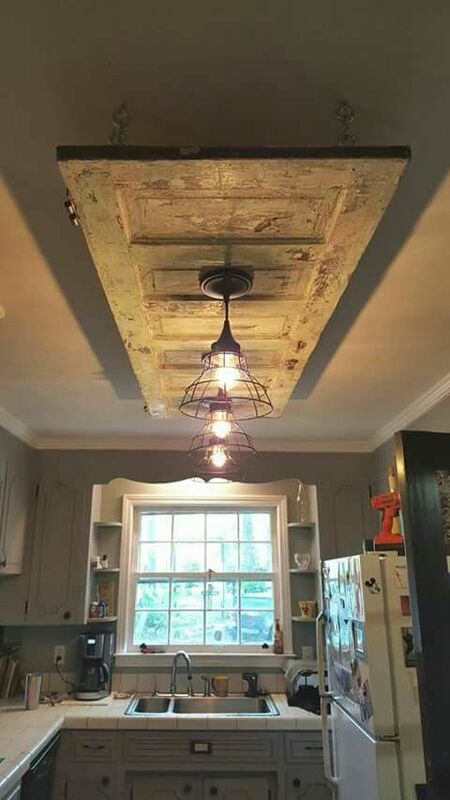 False ceiling– Beautify the ceiling of the kitchen or any other area by creating a ceiling art piece like this.